Miss Miyagi visited Japan in May 2003 for a homecoming visit to Miyagi Prefecture. The Sendai City Museum of History and Folklore exhibited Miss Miyagi and the eight American Blue-eyed Dolls in Miyagi Prefecture. 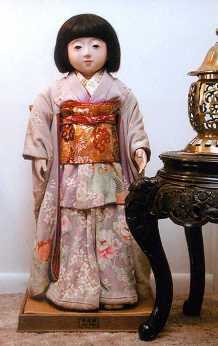 The doll was displayed with Miss Hyogo at St. Joseph Museum in late 2000 and early 2001. Good Will Doll - This article from 1928 describes Miss Miyagi's arrival at her new home in Topeka, Kansas.